"His poetry is like a cross between Catullus and a country and western song. 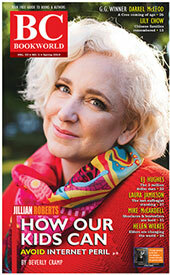 ";- John Moore, SUBterrain Magazine. "The last unpurged North American anarchist romantic. Bakunin bless him! "; - George Woodcock. Always in search of original characters and experiences, Jim Christy is a literary vagabond with few peers. He was once described by George Woodcock as 'one of the last unpurged North American anarchistic romantics'. His publisher has called him a hip Indiana Jones; one reviewer credited him with a 'Gary Cooper-like presence'. His buddies have included hobos, jazz musicians, boxers, and non-academic writers such as Charles Bukowski, Peter Trower and Joe Ferone. "I never dismiss another's story out of hand,"; he writes, "no matter what it's about or how outrageous it may seem. "; Christy's often wry reminiscences of his travels, trysts and trials are fueled by a hard-won pride. A gardener, a sculptor and a spoken word performer with a jazz/blues ensemble, Christy has been seen in film and television productions, usually in non-speaking roles as a thug or a gangster. Born in Richmond, Virginia on July 14, 1945, Jim Christy grew up in South Philadelphia, a tough area featured in his autobiographical novel Streethearts, and also featured in Sylvester Stallone's Rocky movies. "Boxing was in the air," he once recalled. "You knew people who had boxed; if Dickens had been around he would have written about boxing." Christy later wrote about boxing as a business and a sub-culture, in Flesh & Blood. Christy began running away from home around age 12, once getting as far as the outskirts of Buffalo. He befriended one of his closest friends and mentors, Floyd Wallace, a hobo, a former boxer and a former soldier of fortune, and learned to ride the freights at a young age. Christy came to Canada in October of 1968, to evade the Viet Nam war draft, and was active in co-founding two shortlived underground press publications in Toronto. His first book concerned draft resisters in Canada. Christy became a Canadian citizen as soon as possible. While researching Rough Road to the North, he became fascinated by the life of Charles Eugene Bedaux, and subsequently wrote a biography called The Price of Power. Other outsiders who have struck Christy as heroes include a veteran carnival performer named Marcel Horne, jazz musician Charlie Leeds, leftist Emma Goldman and explorer Sir Richard Francis Burton. 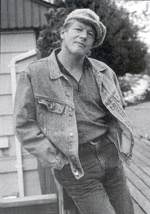 Jim Christy first came to Vancouver in December of 1981 to promote his novel Streethearts, and he has remained on the West Coast, adopting Gibsons on the Sunshine Coast as his home base. An artist, gardener, prolific freelance journalist and an ex-regular on American Bandstand, Christy has evolved his own King of the Road outsiderism into a cool-headed series of 'noir' fiction featuring a tough-talking private detective in Vancouver named Gene Castle. The series opens in 1937 with Shanghai Alley and moves forward to 1939 in the second Gene Castle gumshoe mystery, Princess and Gore, a title drawn from two street names in Vancouver's Downtown Eastside. The third Castle mystery is Terminal Avenue, another title drawn from a street name. It features the bullet-eating detective searching for the kidnapped daughter of a Nazi resistance leader. The series culminated with Nine O'Clock Gun [see review below]. As a departure from his detective novel series, Christy published The Redemption of Anna Dupree, an unconventional love story and a "road novel" about an acid-tongued, elderly actress in her seventies who escapes to Mexico with Colin, a much younger employee of the Okanagan nursing home in which she lives. The protagonist, who formerly appeared in some British and American noir films in minor roles, has been described by reviewer John Moore as an unrepentant bad girl who is "guilty of no crime but her age in a culture that worships youth." Christy has had his passport stamped in Central America, Greenland, Cambodia, Europe and Brazil. The locales for Christy's non-fiction collection entitled Between the Meridians include an annual convention of hobos in Britt, Iowa and the Honduran jungle where he searches for a Golden Madonna--plus memories set in Bogota, Soweto, Chiapas, Honduras, Rhodesia, New Zealand and Vienna. Other reminiscences introduce a local hit man, a stripper, a lesbian Mom, an aging Russian Count, two homosexual Indian brothers from the Yukon, named Byron and Shelley, and a lovelorn American tourist waiting 20 years for a Mexican gigolo. Some hype is too good to overlook. According to Guernica Editions, "The poetry in Marimba Forever is concerned with love and longing, which the author displays in all their multifarious guises. Many of the poems can be regarded as small films: nourish, action, farce or slapstick; others call music to mind: a tenor saxophone improvising on a standard melody in the wee small hours just as the milk man is getting up and rubbing sleep from his eyes; a roadhouse honky-tonk hell-raiser; six gypsies with accordions and tubas on the back of a flatbed truck somewhere near Ploestki or a marimba orchestra in a tropical town square playing like they never want to stop while palm trees sway and lovers neck on the green benches." In quick succession, Jim Christy published his 32nd book since 1972, The Big Thirst and other Doggone Poems (Ekstasis $23.95), followed by his 33rd, Rogues, Rascals, and Scalawags Too: Ne'er-Do-Wells Through the Ages (Anvil $20). Always in search of original characters and experiences, Jim Christy is a literary vagabond who has a follow-up volume to Scalawags: Rogues, Roustabouts, Wags & Scamps. The characters profiled for Ne'er-Do-Wells include Carolina Otero, Andre Malraux, Lord Timothy Dexter, Suzanne Valadon, William Hunt, Mata Hari, Emma Hamilton, Bata Kindai Amgoza. BIOGRAPHICAL DETAILS: "I've held many jobs in many parts of the world--a journalist in 1974 wrote that the list of jobs I've held would read like a parody of that kind of thing. And he wrote this when writers still took jobs instead of going to creative writing school. Ferryboat deckhand, Chesapeake Bay; Landscape worker, Yukon Territory; antiquities restorer, Mexico; free lance photographer, Vietnam, etc." [Alan Twigg / BCBW 2015] "Fiction" "Literary Biography" "Memoir"
As a 'dormant anarchist', Jim Christy frequently debunks conventional interpretations of history -- the shoot-out at the OK Corral, for instance -- and proposes alternative role models, such as writer Blaise Cendrars and the British explorer Sir Richard Francis Burton. Inviting controversy in his book Between the Meridians, he claims Spanish conquistadors visited Keremeos prior to the 19th century. "According to the history books,"; Christy writes, "the first white man to penetrate the southern interior of what is now called British Columbia was the fur trader David Thompson in 1811. "; In a story called 'West of Keremeos', Christy summons his strengths as a maverick researcher and adventurer to argue that Spanish explorers reached the Similkameen long before David Thomson. First, Christy finds Ernie Joseph, a 78-year-old Indian, in a bar. According to Similkameen oral history, members of Ernie Joseph's tribe massacred Spaniards near their Indian village of Keremeos and buried them in a fabled 'Spanish Mound'. There are rock carvings, petroglyphs, to prove it. But Ernie Joseph tells Christy he has to find the petroglyphs for himself. Christy then recounts his roundabout route to find the rock carvings near Hedley. We learn the Spanish launched more than 150 coastal expeditions from Mexico in search of gold and the 'Strait of Anian', a mythical passage that supposedly split the North American continent. "It seems preposterous to insist that no European reached the southern interior of British Columbia until the 1800s,"; he writes. "By the latter part of the 16th century, Cabeza de Vaca had already traveled overland from Florida to the Pacific Northwest. "; Christy also cites the travels of a Greek mariner named Apostolos Valerianos. While Valerianos was using various pseudonyms--including Juan de Fuca after which the Strait of Juan de Fuca is named--Valerianos apparently sailed north three times to the Pacific Northwest for the Viceroy of Mexico in the late 1500s. According to Michael Lok, an Englishman who financed Martin Frobisher's three trips to Baffin Island, Valerianos claimed he made a journey across the North American continent from west to east. This leads Christy to his hard 'evidence' of Spanish inland infiltration. 1. Historian Bill Barlee has observed that the appearance of the Similkameen band is different from neighbouring tribes (they're taller) 2. The Similkameen are the only Interior band to pronounce a pure 'r', a predominant letter in Spanish 3. Armour made from heavy copper has been found in a native burial ground identical to Spanish mail (and neither the Spanish or anyone else wore armour in the 19th century). 4. The only piece of turquoise ever discovered in an Indian grave in B.C. was found near Okanagan Falls (and is now displayed at the Penticton museum). Christy visits the pictographs and provides his analysis. 1. There are men on horseback with peaked hats (like the helmets worn by the Spanish) 2. The are four standing figures attached by a line drawn through their necks (like prisoners chained together in the Spanish fashion) 3. The prisoners are guarded by dogs with open mouths (like the vicious guard dogs the Spanish were known to have used). Reading Jim Christy's fourth and final installment of his Gene Castle Private Investigator Series, Nine O'Clock Gun (Ekstasis $22.95), is like watching a good late night b-movie starring Edward G. Robinson or Humphrey Bogart. Set on a perpetual foggy night, this is a compulsively readable journey into Vancouver's past, in keeping with Christy's previous Vancouver Noir novels Shanghai Alley, Princess and Gore, and Terminal Avenue-all named for Vancouver streets or landmarks. The new novel's dramatic conclusion occurs at the Nine O'Clock Gun in Stanley Park, a cultural landmark that was first installed at Brockton Point in 1894. For many years the cannon was fired to mark the beginning and closing of fishing hours in Burrard Inlet. With so many unemployed men trying to make a living by fishing, the canneries needed to restrict fishing to prevent over-supply. Over the years, the citizens of Vancouver began to depend on the Nine O' Clock to set their watches. It was moved to its present location at Hallelujah Point in 1954. What's an old gumshoe to do? Haunted by thoughts of his advancing age and the perfume scent of an old flame, Castle watches the body count climb and all the events strike close to his rain and gin-soaked world. Events circle around buried treasures, beautiful women, stolen art and a parade of femme fatales, sad sack losers, grifters, sexual deviants and bohemians. In other words, fun. Raised on the mean streets of South Philadelphia, tough guy Jim Christy is a well traveled, school-of-hard-knocks type dude who understands his characters well. Christy's work reminds us that losers are cool, that the middle-of-the-road might be smoother but the ditches are more interesting, and that every rounder has a good story to tell. Nine O'clock Gun is a class detective novel and one can easily imagine this series serving as the basis for a film or television series.